-Creating your identity- who are you as a writer? What should you be doing to show that? What’s your image and author profile? Does it fit what you write? -Analysing your audience- who is buying what you’re selling? Who are your fans and where do they hang out? -Channels of communications- now you know who they are and where they hang out- how can you get to them? What’s appropriate? What’s easy? How do you get to these people? Tips and Tricks! 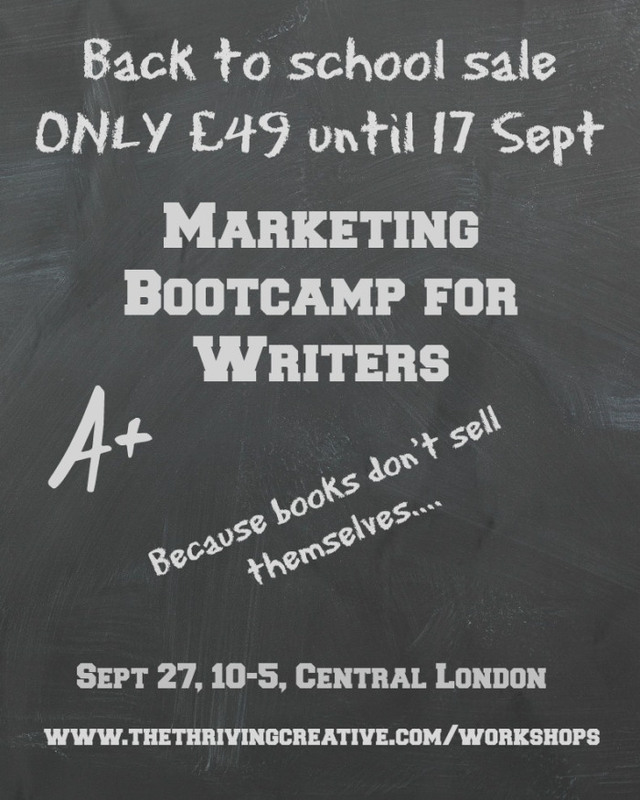 Here I’ll be learning everything I’ve gleaned since working with an independent publisher and a bigger one, plus talking to lots of self-published authors. We’ll cover book blog tours, ARCs, blog content, rafflecopter, reveals, communities, reviewers and much more! Especially as it’s only £49! And we’re selling out fast! Click HERE for details and tickets. Previous postHide and Seek Blog Tour- Day One!